One of the longest standing and trusted oil spill response companies in the world, OMI Environmental Solutions (OMIES) provides solutions to a wide depth of customer environmental requests and remains prepared to leap into action in the face of emergency. OMIES, formerly Oil Mop, LLC, was established more than 40 years ago as an oil spill response operation. The company has assisted with the cleanup of some of the largest oil spills and disasters in American history. While that has earned them quite a reputation in and of itself, the company has expanded its efforts broadly, today integrating oil spill, hazmat, industrial, standby rescue, waste management, disposal, transportation, environmental consulting and training services, while offering an extensive line of environmental and safety products. The company’s recent rebranding from Oil Mop, LLC to OMI Environmental Solutions comes in light of that expanded list of services, in order to more appropriately convey its range of services to the public. One of the most impactful expansions OMIES has made is the recent establishment of its Environmental Consulting Division, through which it offers aerial surveillance, utilizing drones, quad copters and fixed wing aircraft to provide a vivid and all-encompassing view of facilities and their activities in real time. This service can be used in a variety of ways, including to assess damage, provide before and after photos and videos and aid with spill investigations, disaster response or cleanup activities. Another new service through the Environmental Division comes with the addition of Hydrographic Services, in which OMIES provides near real time data to help decision makers see through muddled waters. Using methods originally adopted by the U.S. Coast Guard for F.E.M.A use, OMIES can quickly scan, process, interpret and deliver SONAR data in record time. Using the most modern, cutting-edge equipment available allows OMIES to tackle jobs of all sizes. Benefits for customers include customized charting and surveys to determine berthing ability, low water impacts and debris mapping. The surveys can provide an accurate, up to date picture of the sub-sea environment and allow users to instantly determine how higher or lower water will affect their interests. A third new offering is Situation Monitoring and Resource Tracking (SM&RT). Through SM&RT, OMIES provides incident management services including notifications and final reports. OMIES establishes a plan and command post, provides oversight, provide a bridge to regulatory agencies and provide documentation for each operational period, while also working with the customer from beginning to end. Classified by the United States Coast Guard as an Oil Spill Removal Organization (OSRO), OMIES’ spill response services are available 24 hours a day and seven days a week. OMIES has complete oil spill response capabilities, utilizing response vessels up to 40 feet in length, vacuum trucks, portable vacuum systems, skimmers, self-propelled skimmer boats and more than 90,000 feet of containment boom. The company can utilize its capabilities for AMPD coverage, decontamination, oil field cleanup or remediation services. Additionally, OMIES is one of only six ORSOs to receive the non-floating oils classification from the United States Coast Guard. Non-floating oil related incidents require a very detailed and technical response in an inherently dangerous environment, and OMIES has the ability to detect, contain and remove sunken oils in dynamic sub-surface conditions. The company’s hazmat teams respond to situations at fixed or mobile facilities, on land, water and underground via pipeline. OMIES specialists have the capabilities to perform all types of hazardous and non-hazardous liquid transfers, bulk transfers and compressed gas transfers and to address most chemical spills and transfers, biological and abatement issues. 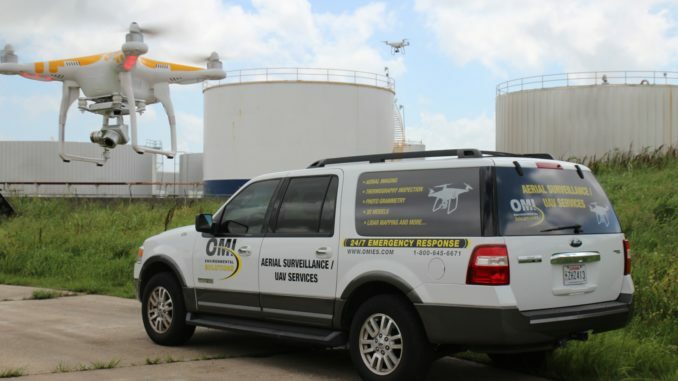 With well-staffed and response-ready facilities along the Gulf Coast, including Louisiana, Texas and a comprehensive National Spill Response Program (NSRP), OMIES is strategically positioned and equipped to respond quickly and efficiently to any type of emergency that may arise. Through its National Spill Response Program (NSRP), OMIES coordinates with the closest response facility to a petroleum or hazardous material incident. OMIES will dispatch local project managers who will immediately respond to the incident, assess and begin to control the situation, overseeing containment and cleanup. If requested, OMIES can provide an on-site project manager to oversee the cleanup process and act as the responsible party’s representative while providing a single point of contact for response, disposal and invoicing to the customer. The products division of OMIES, OMI Environmental & Safety Products (OMIESP), also recently launched an e-commerce site where customers may buy carefully selected environmental and safety products at www.omiesp.com. The company’s inventory includes over 10,000 products from hundreds of manufacturers. As a user of these products, OMIES is uniquely positioned to only offer and recommend products that they would use themselves for the best and most cost effective solutions for their customers’ needs. With hurricane season in full swing, let OMIES and OMIESP help your company prepare for the next storm and, if the need arises, for the clean up afterwards. Call 1-800-645-6671 or visit www.omies.com or www.omiesp.com to learn more about their products and comprehensive environmental services.